Blazers were the jacket trend that no one saw coming. While that might seem silly to be surprised by the blazer's comeback, just think about it. The tried-and-true wardrobe staple is the key to professional power dressing for so many, so how could it be deemed a “trend” in the true (and fleeting) sense of the word? In fact, we saw the staple jacket emerge in checkered prints seemingly out of the blue last fall, and since then countless more iterations have followed suit. For the record, we're not mad about it. Not mad at all. Fashion girls have co-opted the practical trend alongside designers who are reimagining the piece the coolest new blazer styles. These days, we're spotting new blazer trends all over the street during fashion month, further solidifying their staying power. If you're just as on board with the classic checkered blazers as we are, you’ll fall in love with these even more current blazer styles that have undoubtedly taken center stage this year. 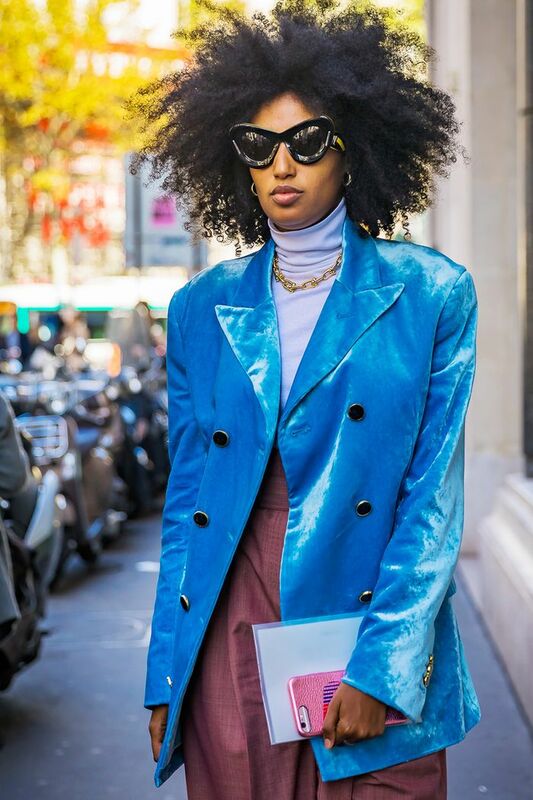 From pretty pastels to luxurious textures, scroll through to discover which blazer styles are huge with the fashion crowd right now and of course, shop our picks of the trend. Fashion girls are playing with color a lot more lately, and that very much includes the blazer. As we move into spring, a fresh palette of refreshing blues, pretty pinks, and eclectic patterns awaits. Corset-inspired shaping, extra-strong shoulders, and asymmetrical tailoring are all blazer styles you'll start to see popping up in the coming months (if you haven't already).